Hello my lovely readers, long time no see ehh? I hoped your Christmas vacation/ break was as delightful as mine. I am back with one of the a major topic in ocean chemistry! On March 11, 2011 the largest volume of radiation was accidentally released in to the ocean. The Tōhoku earthquake or a 9.0 magnitude earthquake 80 miles off the Northeast Coast of Japan triggered a series of tsunamis that struck many villages along the coast. 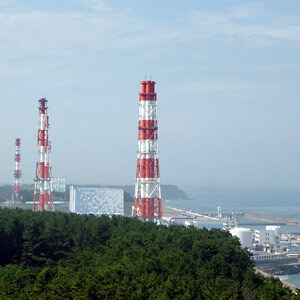 The Fukushima Daiichi nuclear power plant was one of the destructions form the tsunamis. 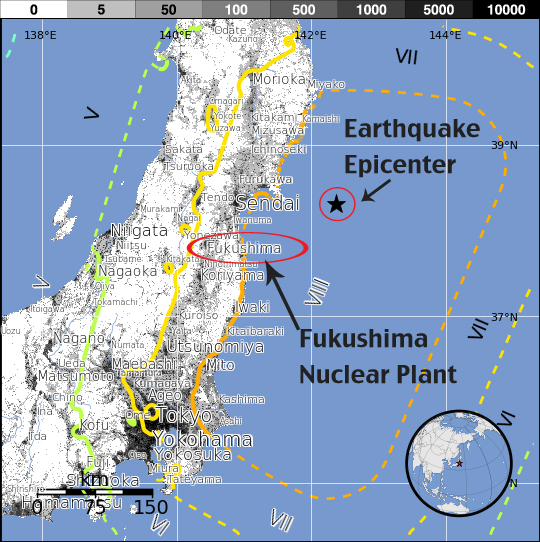 The plant was located 150 miles north of Tokyo. >>The Fukushima Daiichi nuclear power plant uses water as a coolant to decrease the temperature produced from the reactor cores. These reactors are fuelled by both uranium and plutonium. As these isotopes are so larges, they are unstable. Fissions can occur easily they received an extra neutrons. Those atoms then released at least two more neutrons, which will released more neutrons as they go on. This chain reaction of splitting atoms produced energy as heat. This is why it is critical for a nuclear reactor to have the right amount of coolant. Since 40 feet or higher waves disabled the power plant’s emergency systems, the emergency crews had to use seawater to cool down the reactors. There was no power to keep the coolant flowing after the shut down. The energy from radioactive decay in the reactor cores produced tremendous amount of heat that the reactors started to melt down. The Cooling seawater started leaking back into the Pacific. Radioactive isotopes were released into the air and were absurd by the ocean. The disaster introduced, Iodine-131, Cesium-137 , Cesuium-134, Tellurium, Uranium and Strontium to the are surrounding the power plant. ~//~How do chemists measure the amount of radioactivity in the ocean form the disaster? >>>click the link below!